Madonna only works with the best and brightest talents. So who are some of the people that currently support the pop diva on her world tour? 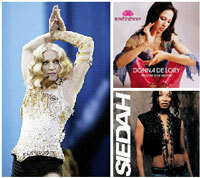 Meet Donna Delory and Siedah Garrett, Madonna's primary background singers and dancers for the Reinvention 2004 tour. Fans might recognize Delory from previous Madonna tours. The singer first worked with Madonna in 1987 during the Who's That Girl tour. After that she joined the pop star on all her world tours including the Blond Ambition World Tour (1990) and the Girlie Show (1993). Delory comes from a rich musical background. Her father played keyboards on recording sessions for Phil Spector and her mother was a singer and dancer in Los Angeles. Hoping to bank on her popularity with Madonna, Delory has also tried to establish herself as a solo singer. Her efforts have not been very successful. Besides the dance hit "Just A Dream" (with Madonna on harmony vocals), her self-titled debut went unnoticed. Only a handful of Madonna fans might know that the icon co-wrote and produced part of the album. Madonna has often praised Delory's talent. "I've always admired Donna's voice," said the celebrity in an interview with Billboard. "Her songwriting is poignant and heartfelt." In 2000, Delory released her second album "Bliss," which was a collaboration with cellist Cameron Stone. The album is no longer available in stores, but can be streamed at MSN Music. This year, Delory has embarked on a spiritual journey. Her latest records "The Lover And The Beloved" and "In The Glow" feature Sanskrit chanting and ancient Indian mantras, which was inspired by Delory's yoga practice and fascination with the Hare Krishna faith. Who says Kabbalists do it better? Niki Haris, Madonna's other long-time background singer, was replaced for this current tour by Siedah Garrett. People that attended the concert might remember how Garrett skillfully sings the gospel interlude with Madonna in "Like A Prayer." Garrett is mostly known for her work with Michael Jackson (music link) and her recent solo album. In a statement on her web site, Haris writes that it is time for her to focus on her own music and family. Oddly, she refers to the Reinvention Tour as "that tour," giving fans reason to wonder about the real reason for her absence. The British Mercury Prize is one of the most influential prizes in the British and Irish music industry. Unlike the American Grammy Awards, the Mercury Prize tends to favor unknown, independent gems that might not have had any commercial impact, but made an artistic mark. Often the winners of the prize put their own spin on a traditional genre to create something that is original, ahead-of-the-curve and exciting to discover. The winner of this year's prize will be announced on September 7th. Morrissey, Jamie Cullum, PJ Harvey and Grand National (my personal favorite) are conspicuously missing from the nomination list. Britain's most innovative dance duo has built a solid reputation with the collaboration-heavy "Kish Kash" that includes appearances by Dizzee Rascal (last year's Mercury Prize winner), Me'shell Ndgeocello and *N SYNC's JC Chasez. Based in Glasgow, Scotland, Belle & Sebastian make crisp pop-rock with a folky edge. One of the freshest new sounds of the year in my opinion. Produced by Trevor Horn (Seal). You must have been living under a rock if you have not heard about Franz Ferdinand. The group is this summer's alt-rock sensation with single "Take Me Out." The big question is if these Scottish lads can live up to the hype. They're not the best candidate to win this award, but they likely will. Jamelia's "Superstar" appeared earlier this year at the "Queer Eye" soundtrack. The R&B singer is a refreshing alternative to the smoky alt-rock action on the shortlist. However, her sound is hardly innovative and winning this prize is a long shot. Keane's piano-driven rock is reminiscent of Coldplay's earlier work. Without guitars, the Sussex trio creates moving ballads that have already taken them to the top of the British album chart. 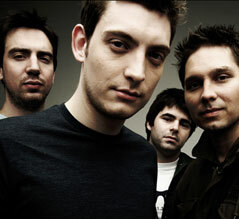 Snow Patrol is an Irish band based in Glasgow. Their sound is alternative pop-rock that is both crunchy as it is melodious. A serious contender for this prize and my personal favorite. There is something odd about a white teenage singer pouring her heart out like Aretha Franklin. Perhaps Stone needs to wait a few more decades before receiving this coveted prize. This concept album is getting a lot of buzz in the mainstream press. Rapper Mike Skinner fuses honest storytelling with humor and hard-pounding grooves. Born in London to Nigerian immigrants, rapper Ty has been recording since the mid-'90s. After Dizzee Rascal's Mercury win last year, the odds of another rapper winning this prize are against Ty. Winhouse's unorginal take on jazz and R&B will likely put you to sleep. Nonetheless, this debut of the 20 year-old singer was favored over more obvious jazz picks like Jamie Cullum's "Twentysomething." This radical singer/songwriter has been making music since the mid-'60s. Wyatt's latest effort includes many guest musicians (including Brian Eno) and features more of his spirited songwriting. Newest band from the Liverpool music scene. The Zutons bring stylish rock to the masses. Reminiscent of Devo and the Talking Heads. This debut album was produced by Ian Broudie (Echo & The Bunnymen) and features the single "Pressure Point." Get your musical lifestlye into gear with a special offer from Centaur Records. The dance label is giving away a free CD with every purchase of a Twelve Inch LP fashion shirt. Each week a new CD will be featured in this special promotion. This week, Centaur will be giving away the latest Rosabel CD ("Party Groove: Fireball 2") and next week the shirt promo will feature David Knapp's "Global Groove: House 2." Check out the Centaur web site for more information. "If you can dream it, you can do it" is what Dallas Austin told me at a Grammy party earlier this year. The legendary producer has become one of music's hottest commodities who has cooked up hits for many artists including Pink, Gwen Stefani and Janet Jackson. Now, also Duran Duran has turned to Austin to crank out some potent pop vibes to ensure the success of their comeback album. Duran Duran, the gayest straight band in pop history, will release this new record in October. This is the group's first effort in 21 years, which has no formal album title yet. 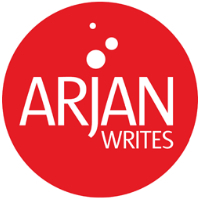 Sources close to Arjan confirm that two of the new songs include "Astronauts" and the moody "Still Breathing," which is in the same vein as previous Duran Duran hits like "Save A Prayers" and "The Chauffeur." The new album also features the work of Don Gilmore who has produced albums for multi-platinum acts Good Charlotte and Linkin Park.